What timing. With Katie at Kitchen Stewardship blogging about The Faith of Our Children, passing traditions of faith to our kids, and my attendance to last week’s JAM session, this is a good time for me to talk about families with special needs. Last night, I hosted a potluck at church for families with special needs. I loved seeing entire families. To open the “adult portion” of the potluck, I began with a portion of 1 Cor 12:14-31. As a body is one though it has many parts, and all the parts of the body, though many, are one body, so also Christ. For in one Spirit we were all baptized into one body…. So parents can ask for the help of the community and the community can give help in educating children. Part of this education, in my mind, is the culture of acceptance. How do we cultivate this acceptance? Start with Mass. 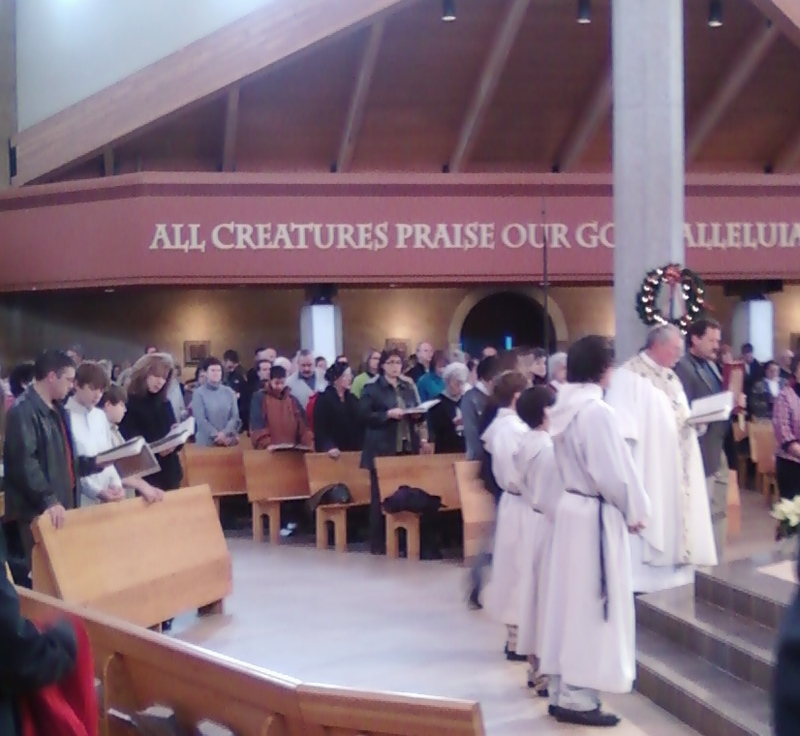 Some people believe that those with disabilities have no place at Mass. 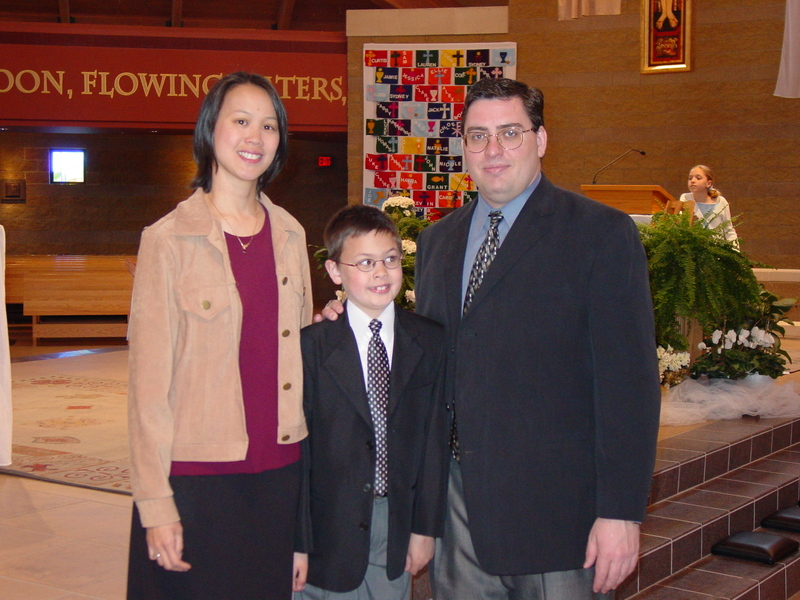 Some people with small children attend Mass, not as a family, but in shifts: Mom and Dad split up and attend separately. It’s the same when you have a family member with a disability. And guess what? Mass is where they need to be. Parents have come forth, saying that they feel judged by those around them because of their child’s behavior, especially with hidden disabilities. Physical disabilities seem to be excusable or allowable with a visual cue — leg braces excuse away a behavior. But things like autism and fetal alcohol syndrome do not have outward cues. For some reason, there is no way for an outsider to justify the bad behavior, regardless of what the brain (which is hidden) looks like. Where is the social justice here? Shouldn’t we be able to be freest from judgment and most welcome in church? Children with special needs are perfect in God’s eyes. Like my high school classmate Megan said, “No one can love like a child with special needs can love.” As was said to the Corinthians, we need all the parts of the body. We are not complete without all the parts. I am saddened to think that people feel excluded because their kids don’t quite fit in. It’s all about perceptions, awareness, and acceptance.